Tong Louie, chairman and Chief Executive Officer of H.Y. Louis Co. Limited and London Drugs Limited, has always given freely of his time and money to help make his community of Vancouver a better place. He is a trustee of St. Paul’s Hospital, a member of its finance committee and Honorary Campaign Chairman of St. Paul’s Hospital Foundation. He is a director of the Pacific Otolaryngology Foundation, the B.C. and Yukon Heart Foundation and a recipient of the Variety Club’s “Golden Heart” Award for raising funds to aid the Children’s Hospital. He is a member of the Board of Governors of the University of British Columbia and the B.C. Business Council. 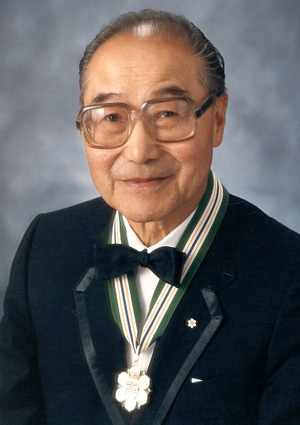 UBC has awarded him an honorary Doctorate of Laws and Letters and in 1989, he was named to the Order of Canada. For his community leadership, the YMCA of Greater Vancouver named him 1988 Outstanding Community Volunteer Leader.